CORPUS CHRISTI, Texas – For more than a century, vehicles have been a technological advancement providing independence, accessibility, and efficiency. Yet, these modern-day conveniences can also come at a cost. Vehicles can emit high levels of pollutants like hydrocarbons, carbon monoxide, and nitrogen oxides that affect both our air quality and health. This is why Pollution Prevention Partnership (P3), a program within the Office of Community Outreach at Texas A&M University-Corpus Christi, provides the long-running AutoCheck program. 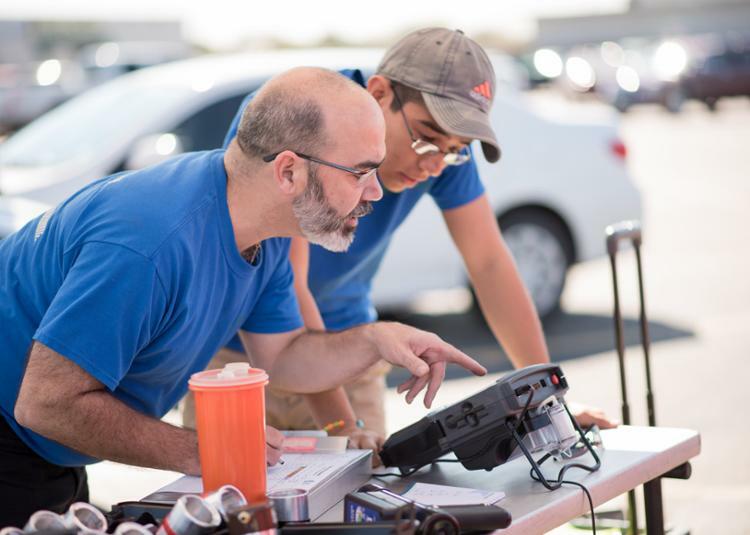 Thanks to renewed funding from the Port of Corpus Christi, AutoCheck continues to offer free vehicle emission testing in the Coastal Bend along with vouchers for qualifying vehicle repairs and replacement gas caps. The service is easy and convenient to use. Within minutes, a participant can determine if their vehicle is running clean or is emitting pollutants. In many cases, participants don’t even need to get out of their vehicle. A technician uses specialized equipment, like a tailpipe probe, to check the vehicle’s status. Since the City of Corpus Christi is within air attainment status, meaning that criteria pollutants do not exceed a certain threshold, it is not mandatory for auto stations to perform pollution inspections or check gas cap pressure measurements. However, it is still important to voluntarily have your vehicle inspected so air quality doesn’t fall within dangerous levels. In 2018, P3 and AutoCheck tested 363 vehicles, issued 15 free gas cap vouchers, and six vehicle repair vouchers. They also attended 18 environmental and health education outreach events to present information on preventing ozone pollution. This year, they aim to test more than 500 vehicles. Friday, Feb. 8, from 8 a.m. to noon at the Antonio E. Garcia Arts & Education Center, located at 2021 Agnes St.
More information can be found at the AutoCheck website or on Facebook.